The museum celebrated the launch of the new exhibition on Friday evening with a private viewing. Beer Brothers kindly sponsored refreshments, and there was a chance to chat to Sara Tomlin, whose discovery of the drawings sparked off the whole exhibition, and Marian Heath, who created the Elsa dress from the original drawing. 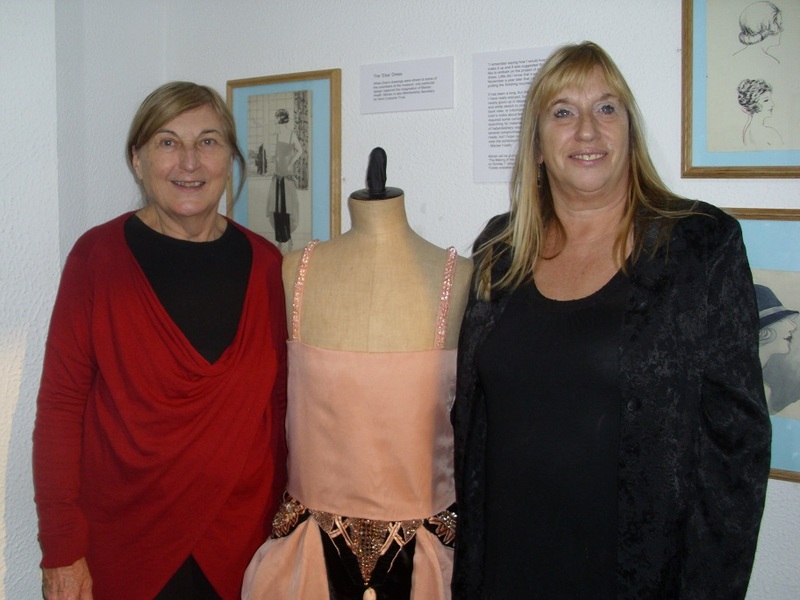 Marian will be holding a talk on the making of the 1920s Elsa dress on Sunday 7th January at the museum. The exhibition provides a fascinating look into clothes and fashion in the 1920s, from regular wear to party wear. Themed activities include talks for adults and opportunities for children to try out their own design skills, including a competition to design party clothes inspired by the exhibition. The exhibition is open until 21st January 2018. The museum is open Tuesday-Friday 11-3 and weekends 11-4. Previous Previous post: Father Christmas will be visiting the museum! Next Next post: Children’s design competition!